He returned to India to a hero's welcome on Friday night. The IAF pilot was first taken to the Air Force Central Medical Establishment (AFCME), a compact and specialised medical evaluation centre for aircrew of all the three services. Defence Minister Nirmala Sitharaman and Air Chief Marshal B S Dhanoa met Varthaman separately on Saturday during which he apprised them about the mental trauma he was subjected to during his captivity in Pakistan. During the meeting, the defence minister commended him on his valour and expressed the nation's gratitude for his selfless service. 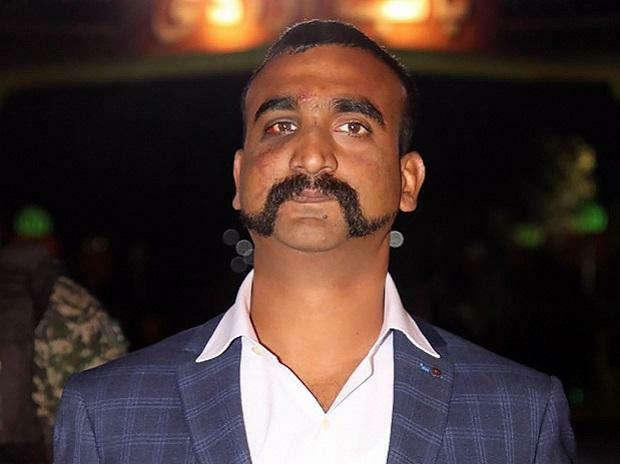 Tensions between India and Pakistan escalated after Indian fighters bombed terror group Jaish-e-Mohammed's biggest training camp near Balakot, deep inside Pakistan early Tuesday. Pakistan retaliated by attempting to target Indian military installations on Wednesday. However, the IAF thwarted their plans.